Clue 3 released this past Saturday. 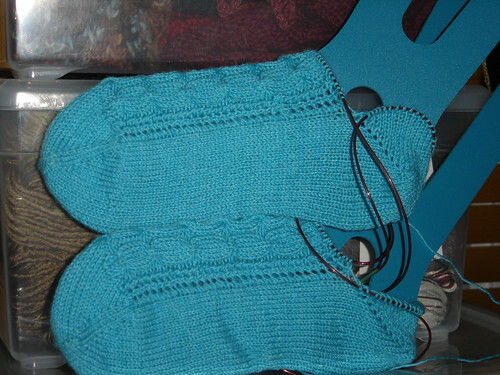 I started and finished it on Sunday, quick heels, and it's one of my favorities, the short row heel. Took me a minute to get pictures, but voila! Oh and no Mods. Stay tuned for the next clue, which is the foot and then all that is left is the toe!